When it came time to redesign this organization's successful charity event, Ayokay delivered. Children’s Bureau was one of our first clients as a company! 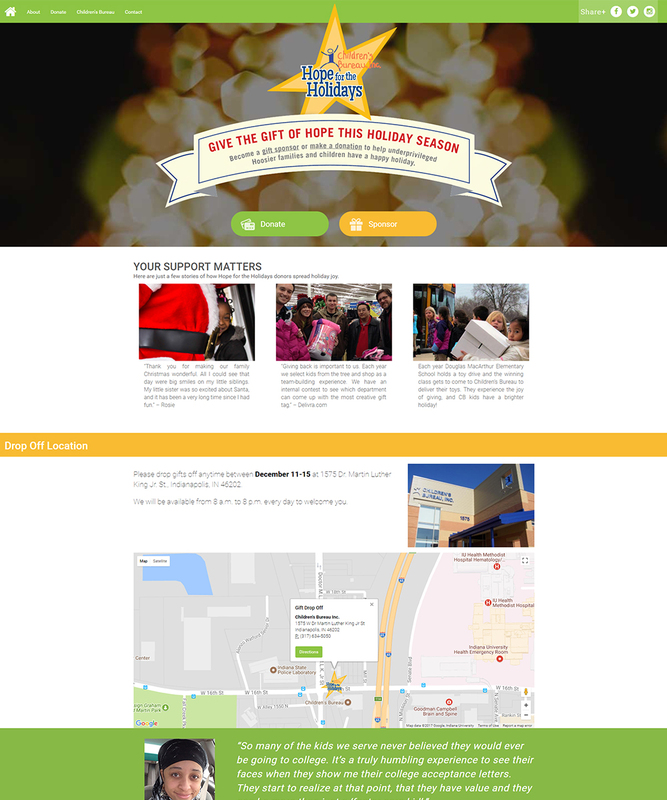 After working together on their website, they came to us to rethink their annual charity function, “Hope for the Holidays”, in which local families are sponsored for gifts at Christmas. Ayokay created a fully custom solution, redesigning the user experience from signup to drop-off, including a greatly improved process for their staff. This project increased not only the rate of child/family sponsorships, they also saved hundreds of administrative hours!